The Age of Discovery expansion is finally available for Star Trek Online players across all platforms, giving fans of the most recent TV series the opportunity to start their journey in the earlier era. Those who elect to create new characters start their journey in the game’s past — 2256 — when James Kirk is a student at the academy and just a year before Discovery’s Tilly is due to graduate. While the update has been available to PC players since October 9, console players had to wait a bit longer to give it a whirl. With the arrival of the content on consoles, Perfect World reached out and asked us if we’d like to do an impression piece on it. 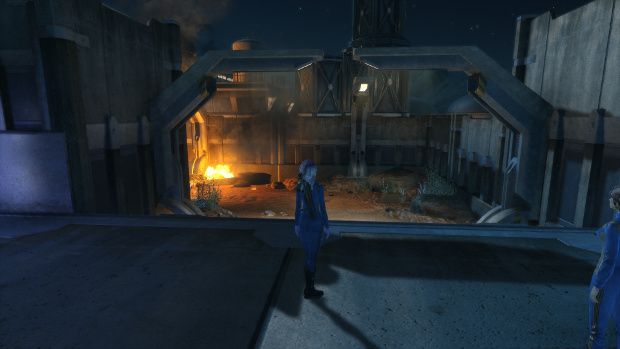 As it turns out, STO is one of the games in my rotation, but having gotten caught up in the new Aion update, I hadn’t hopped in to play Age of Discovery yet. So, of course, I agreed. Before I go any further, there are a few things to note. First, to help me get an overview of the content, Perfect World provided me with a Age of Discovery starter pack. Second, I play on PC, so I can’t offer any insight specific to the console versions. Third, this took me a bit longer than expected due to an ongoing battle with my ISP (that still isn’t over). 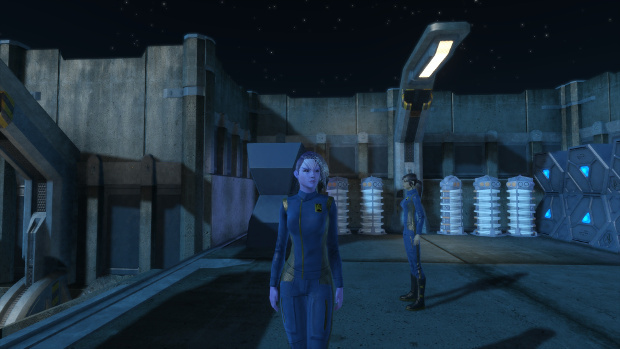 Now, for those of you who haven’t tried the Age of Discovery content yet, I’m sure you’ll remember from the update’s promotion, that one of the things that were highlighted a lot was the opportunity to create a Discovery era captain and interact with some of the characters from the series, including Ensign Sylvia Tilly. Fans of the show will also recognize the U.S.S. Glenn, Discovery’s sister ship. Players will have very limited time with either of these icons from the show before they’re whisked away to the game’s present. Tilly’s role is primarily as part of the game’s tutorial. Once that’s done and the player is off with their own command, she’s more or less out of the picture. Players will, however, encounter the Glenn until they’ve made their way forward in time. I wouldn’t worry about this too much, however, as this is just the first release of Discovery related content, and more has been promised. So it’s likely players will come across both of these — and possibly other names from the Discovery era in the future. Discovery fans who are into the comics will recognize another character as well, J’Ula, sister of T’Kuvma, the man who brought the Klingons together. J’Ula’s a major threat in the STO story line — both in the past and the present. Speaking of the present day STO universe, you may wonder what happens if you decide you want to play on your existing Starfleet Officer? Well, basically you skip the tutorial — and Tilly time. 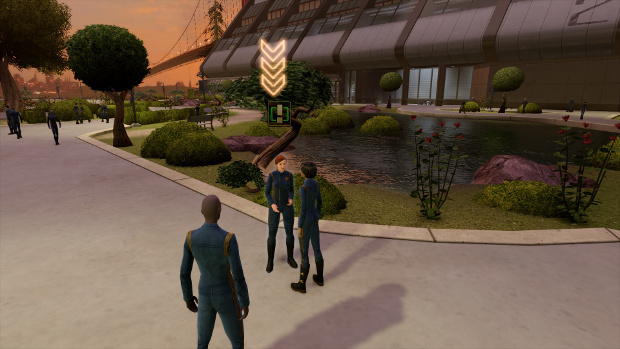 You can do the post tutorial missions as educational simulations Starfleet has designed to help you prepare with any encounters you may have with J’Ula. You also have the option to skip the tutorial when creating a Discovery era captain, but keep in mind it will cut out the time playing with Tilly. Story-wise the current Age of Discovery content is there to set the theme for whatever the developers have planned next and it seems like they’re gearing up for something pretty big over the next two updates. Two other heavily highlighted features in Age of Discovery are the Random Task Force Operations and the streamlining of the game’s missions. RTFOs aren’t really anything new. They’re effectively a new name for queuing for PvE missions with other players. The overall idea is to encourage players to engage with the group content more. So, for players like me who prefer to solo and only do group missions when directed by the story, it’s not that big of a change. On the other hand, the streamlining of the game’s mission journal is pretty nice. It effectively eliminates some of the fluff — and mission content that was frustrating because it just wore on. I noticed that several early missions I’d played on previous characters ended earlier, cutting out unnecessary chasing of opponents and the like. You still get the same story, but without the “and next they went here, and then they went there, and then…” This also appears to cut down on the time it takes to level, meaning new players can catch up and get into the new content quickly. Overall, there’s a lot of nice stuff going on here — particularly for the MMO nomads among us who may not spend all our time in one game. If you haven’t checked it out yet, and are a Discovery fan, I’d say go ahead and do it.